Located in the far southwest corner of the county, the Herr’s Factory is a bit of a hike from just about everywhere. The Herr’s Snack Factory Tour is tastiest tour you’ll go on and that makes it worth the trip. The first thing you’ll see is a short video that tells you how Herr Foods came to be. It’s actually an interesting story and it’s a love story too. After the movie you break out into tour groups and wait to be taken out of the theater. This is the part my boys have the most difficulty with, if we’re not the first to go on the tour they get tired of waiting. You might want to pack something for them to do while they wait incase you’re not in one of the first groups to go on the tour. Once on the tour all is well again. Over the course of the tour you see pretzels, corn chips, popcorn and potato chips. The smells are amazing and it’s really interesting to see how our favorite snacks are actually made. Yes, this is an actual working factory, it’s the real deal. You catch a glimpse of all the processes right up to packaging and shipping. I’m not sure if the kids are too interested in the how or why but they love to watch all the machines at work. The Herr’s Snack Factory Tour saves the best for last! The tour ends with hot chips fresh off the presses. They’re still warm, it doesn’t get much more fresh than that. After snacking on those fresh, warm chips you head back into the visitor center where you’re given a free bag of chips. It is important to know that there are a couple points along the tour that you will have to go outside to move between buildings, but the tour is stroller and wheelchair friendly. If the tour leaves you hungry for more there is a great gift shop where you can purchase just about every flavor of snack Herr’s has to offer. There are even snacks that are not available in stores. In addition to all the tasty snacks, the gift shop also has neat Herr’s logo goodies. Cool cups for the kids. A coffee mug for mom. A shirt to remember your visit. It’s amazing the amount of cool merchandise they fit in that little gift shop. The down side to the tour? No cameras are allowed so you don’t get any cool photos of the kids enjoying the tour. I understand the reasoning but wish I could have had a few photos along the way. Not too far from the Herr’s Snack Factory Tour is Nottingham County Park. Stop there after your tour for a picnic lunch and some playtime before you hop back in the car to head home. The kids really enjoy the Herr’s Snack Factory Tour and it really is a must see here in Chester County. 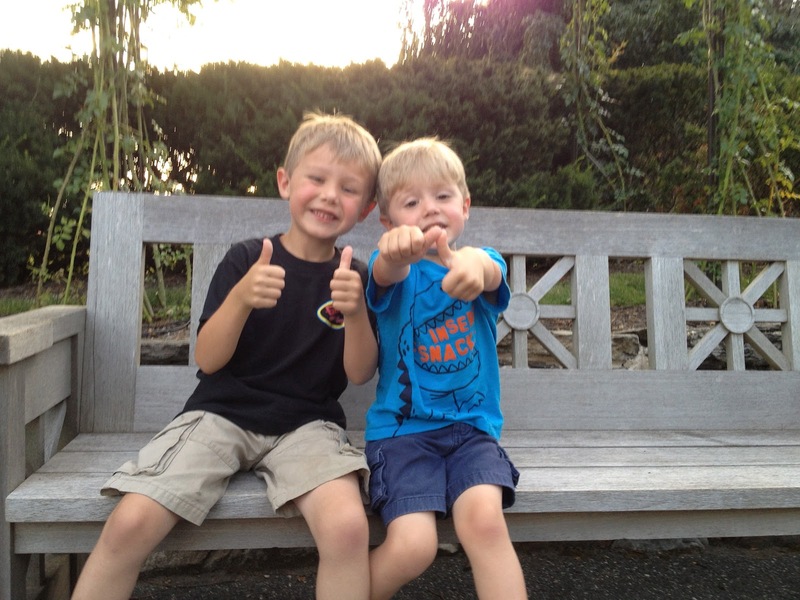 This adventure gets two thumbs up from my boys! Mychal is just a girlie girl raising two crazy little boys in Chester County. To read more about her sometimes dirt covered life, stop by My Life In Mommyland.